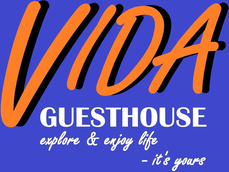 "Explore & Enjoy Life - It's yours"
Vida Guesthouse is a Budget Hostel for Backpackers who are looking for affordable and clean rooms with friendly atmosphere in the heart of Chiang Mai. Well known as a Guesthouse in a great location since the 1990's, we re-opened in late 2013 and now offering 25 Rooms in two buildings. is our slogan which reflects the very special lifestyle here in the North, where everything goes on a bit more relaxed. Irin from Chiang Mai, Sid from Germany and the Team will welcome you with a smile and give you helpful tips about Chiang Mai and the surroundings, as well as on the many Out- & Indoor Activities Chiang Mai is famous for. 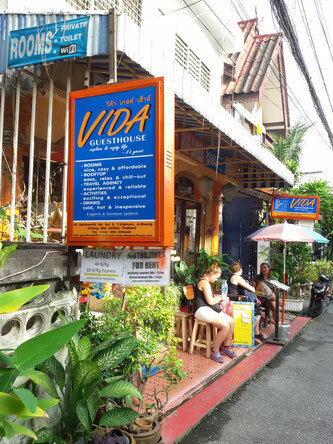 You will find us just a 3min walk away from the Somphet Market in one of the most colourful backpacker areas near Wat Lam Chang. Close to small restaurants, streetfood stalls, shops, cafes and live music venues like Roots Rock Reggae Bar and Zoe in Yellow, we are far away enough from the noise to enjoy a quiet evening at our roof-top.